An impressive trimaran designed in America, built in Vietnam and owned by a New Zealander, is the 150th entry for Australia’s premier offshore regatta, Hamilton Island Race Week. Named Romanza and owned by Auckland yachtsman Dougall Love, the 18.2 metre long Morelli & Melvin Rapido 60 design is a fast cruising trimaran that won’t be disgraced on the race course. Gino Morelli and Pete Melvin’s record as designers leaves little doubt that this yacht could be a wolf in sheep’s clothing at Race Week, which will be staged from August 18 to 25. The Los Angeles based duo has been at the forefront as designers of both conventional and foiling multihulls for more than two decades. Their expertise has also been evident in the America’s Cup, the Olympics, general multihull racing and large cruising concepts. The good news for Romanza’s Race Week campaign is that Pete Melvin has advised he will be aboard for the regatta. With Race Week complete, Dougall and his partner, Jaz Knowles, will take the opportunity to enjoy a leisurely cruise through the 74 mainly uninhabited tropical islands that make up the Whitsunday group. After that experience, Romanza will be Auckland-bound. The fleet for 2018 currently comprises 27 IRC class yachts, including three supermaxis, 70 cruiser-racers, 27 non-spinnaker cruising yachts, 11 trailable yachts and 23 multihulls. The final fleet is expected to top 200. One of the many highlights during the regatta is the Lay Day, which will be on August 22 this year. It provides all participants, their families and friends the opportunity to party, cruise or simply relax. The highlight of the day will be a vibrant beachfront pool party. 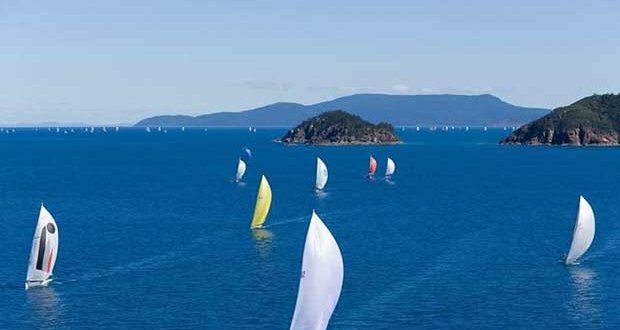 Alternatively, crews can sail their yachts to nearby Whitehaven Beach for the day or enjoy some of the many island activities, including a round of golf.